Portland Chapter 13 Trustee's Role | Michael D O'Brien & Assoc. What is the Role of the Chapter 13 Bankruptcy Trustee? 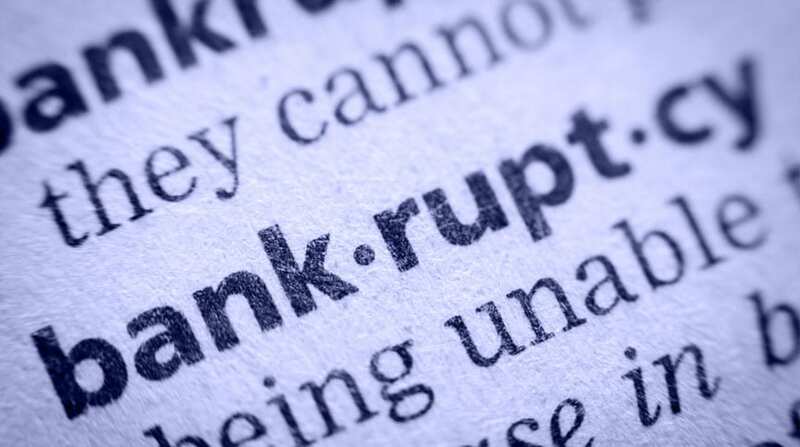 If you are considering or have filed a chapter 7 bankruptcy, then you will want to visit our Chapter 7 page for more information. The balance of this page pertains to the role of a chapter 13 bankruptcy trustee. When a chapter 13 bankruptcy case is filed in Oregon, a Trustee is appointed by the Court to administer the case. There is one Trustee who administers all cases filed in the Portland Metropolitan area, the Northwest corner of the State and the Eastern half of the State. That Trustee is Wayne Godare and his website can be found here. If you live in Salem or Eugene or the intervening central valley, then your case will be assigned to Naliko Markel as your Trustee. Mr. Markel’s website can be found here. About thirty days after you file a bankruptcy, you will be required to meet with the Chapter 13 Trustee and his staff. If you live in Portland or Beaverton or Lake Oswego or any of the other cities surrounding the Portland Metropolitan area and you file a chapter 13 bankruptcy the meeting with the chapter 13 trustee will be held here in the offices of Wayne Godare. If you live in Salem or Wilsonville or Woodburn, then your hearing will be with Naliko Markel here. At this hearing the Chapter 13 Bankruptcy Trustee will ask you questions about the papers you filed so you or your attorney should be well prepared to discuss these issues and defend any information you submitted to the Court. Generally speaking, the Chapter 13 Trustee will review all the bankruptcy papers you filed to make sure that they meet the legal requirements of the Bankruptcy Code. He will also review in detail the Chapter 13 Plan of Repayment to make sure that it satisfies the requirements of the law. Aside from these general duties, there are four more specific topics that a Trustee will look closely at in your chapter 13 bankruptcy case. First, the Chapter 13 Trustee will review the list of real and personal property assets that you filed. He may inquire into how you valued these items and may ask for proof of ownership, valuation or verification of any debts against those assets. The value of your assets is part one of the math equation to determine how much of your unsecured debt MUST be repaid through the chapter 13 case. The more assets you own, the more likely you will have to repay your debt through chapter 13. Second, the Chapter 13 Trustee will closely examine the list of exemptions that you have claimed against the real and personal property assets you own. Exemptions are like legal shields that protect equity in property from the bankruptcy trustee. The amount of your claimed exemptions is part two of the math equation to determine how much of your unsecured debt MUST be repaid through the chapter 13 case. If you have lots of assets, but can properly claim exemptions for all of those assets, then you may not be required to repay ANY of your unsecured debt through a chapter 13. Third, the Chapter 13 Trustee will examine your budgeted income and living expenses. There are two components to this inquiry. First, the Trustee will look at your average income during the six-month period prior to the filing of the bankruptcy case. If your income during this period is high relative to other people who live in Oregon, then you may be required to stay in chapter 13 bankruptcy for five years. If your income during this period is lower than most, then your chapter 13 case may last only three years. The second component of this inquiry is to look at your current income and expense budget. If you take your net income into the household from all sources and you subtract your reasonable and necessary living expenses, then the amount left over should be your monthly plan payment. The chapter 13 Trustee wants to make sure your papers have included all sources of income and that your expenses are reasonable. Keep in mind that what you believe is reasonable may be too high to the Chapter 13 Trustee. Finally, the Chapter 13 Trustee will inquire into any transfers of property you may have made, voluntarily or involuntarily, in the years before filing bankruptcy. In some circumstances, the Chapter 13 Trustee has the authority to go back and recover assets you have given away or that have been taken from you. This may be infrequent but when it happens it can be a real bummer. Imagine your Brother loaned you a bunch of money and when you received your recent tax refund you paid him back – the Chapter 13 Trustee may be able to sue your Brother to recover that money you paid. Once recovered, the Trustee would pay it out to all of your creditors fairly, as opposed to preferring one creditor. If the Chapter 13 Trustee does not agree with any of the information you have provided or the Chapter 13 Plan of Repayment that you proposed, then he will file a written objection with the Court and the Judge will have to decide whether the Trustee is correct or not. Chapter 13 Trustees are given substantial deference to make practical decisions about your case so these objections must be taken seriously and are frequently (but not always) resolved by making the changes demanded by the Chapter 13 Trustee. Chapter 13 bankruptcy can be a difficult process. Since the case can run for five years it has major implications on your future financial recovery. For this reason, it is extremely important that you hire a bankruptcy attorney who frequently helps people file chapter 13 bankruptcy. When interviewing any bankruptcy attorney, even if you think you need a chapter 7 and not a chapter 13, you should ask if that lawyer handles chapter 13 cases. This is because there are many problems which can arise in a chapter 7 that are avoided by filing chapter 13. You can find a nationally certified Portland Bankruptcy Attorney familiar with consumer bankruptcy cases by following this link: https://www.abcworld.org/search/. For more information or to schedule a consultation, call us today or fill out the intake form.